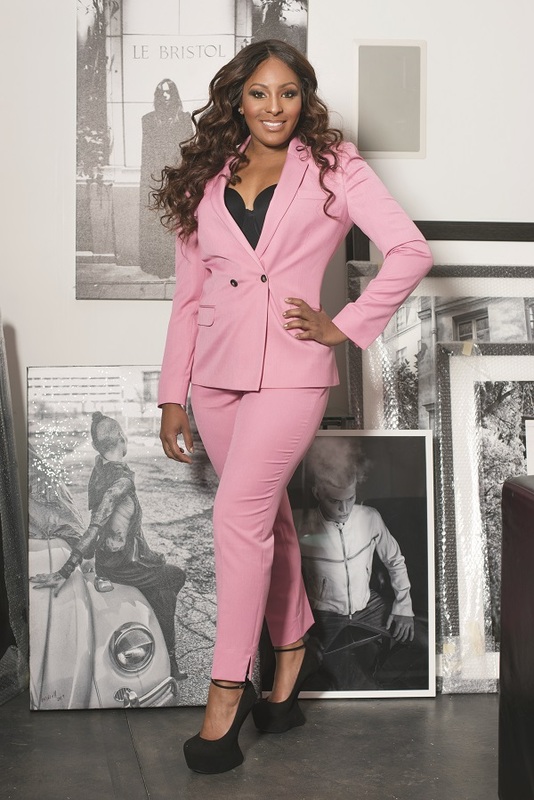 From her start in broadcast journalism to what she can’t leave home without, Maurielle Lue gives us a peek into her life in 20 Questions. 1. How did you get started in broadcast journalism? I remember staying up late waiting for my dad to come home from work. He watched the news every night – and sometimes he would let me sneak and stay up too. Eventually it became “our thing” – and it still is. We talk about current events all the time. But it all started with a daddy’s girl. 2. What do you enjoy most about being a news anchor/TV host? I love the fact that everyday is different! I admire the people who can devote several months to a single project but I enjoy the element of surprise. One day I’m interviewing a prominent politician about policy that will shape our great nation, the next day I’m hugging a porcupine – you just never know! 3. Accessory or possession you can’t leave home without? Phone. 4. 1 word to describe your style? BOLD. Photo by Boswell Hardwick – Maurielle Lue on set for October SEEN Magazine photo shoot. 5. Can you share how you find the balance between work and your personal life? When you work in a profession where you are expected to be well versed on all topics at all times, it can be difficult to find the balance, but anytime I can get away I make the effort to completely unplug and recharge – LIVE IN THE MOMENT – We all need that sometimes. 6. Where do you find style + fashion inspiration? I love to see what the network hosts wear and then put my spin on it. I check out new trends on Instagram and figure out how to localize it and own it! I think as long as you make it your own, you cant go wrong. 7. Best style advice ever received? When you find something that looks great on you, buy it in every color – it’s worth the investment. 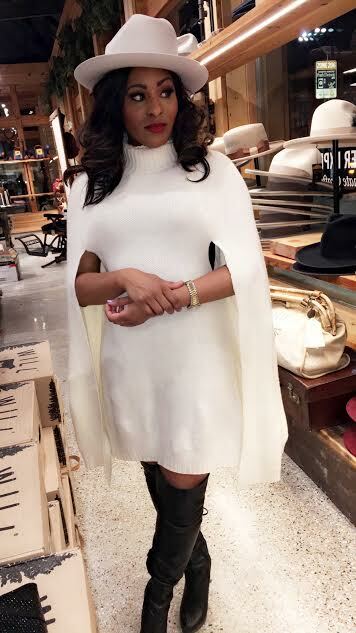 Maurielle Lue pictured at Will Leather Goods wearing a white cape sweater dress, wide brimmed hat, and knee high boots. 8. Who inspires your style? Do you have a style icon? Michelle Obama. 9. You’re never fully dressed without? Lashes!!!! I can go without my favorite rings or feel naked all day without earrings, but I will rearrange my entire life if my lashes aren’t right. 10. Is there something in your style that is always consistent? Not really… In TV they preach consistency but I buck the system in that way because women change their style. We get bad hair cuts, we try and hide our imperfections, and we always change our minds… I am a woman unapologetically. 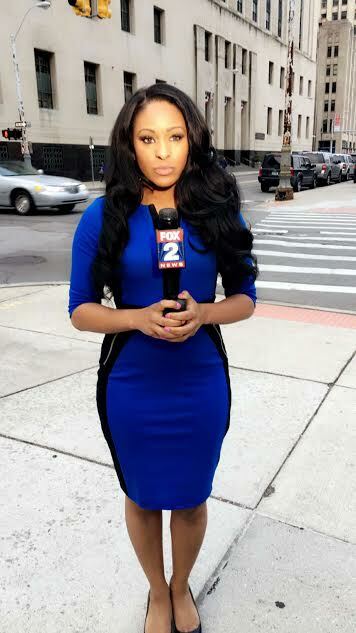 Maurielle Lue reporting for Fox 2 News. 11. A splurge for fall that would be worth the investment on? 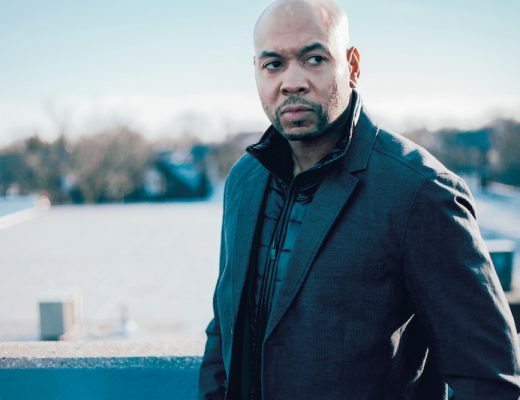 I’m currently in the market for a good fall jacket! 12. Who inspires you in the business world? Oprah Winfrey. 13. 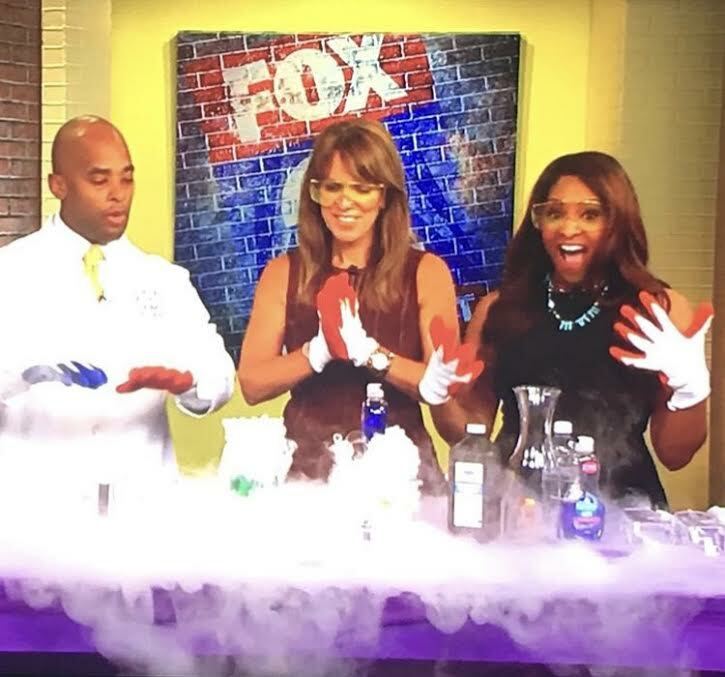 We love watching you on Fox 2 every morning! What is your best advice for being on live TV? Just be yourself. The audience will embrace you so much more for being genuine! They can smell a phony a mile away. Bring your A game – be in the moment – and learn to laugh at yourself. 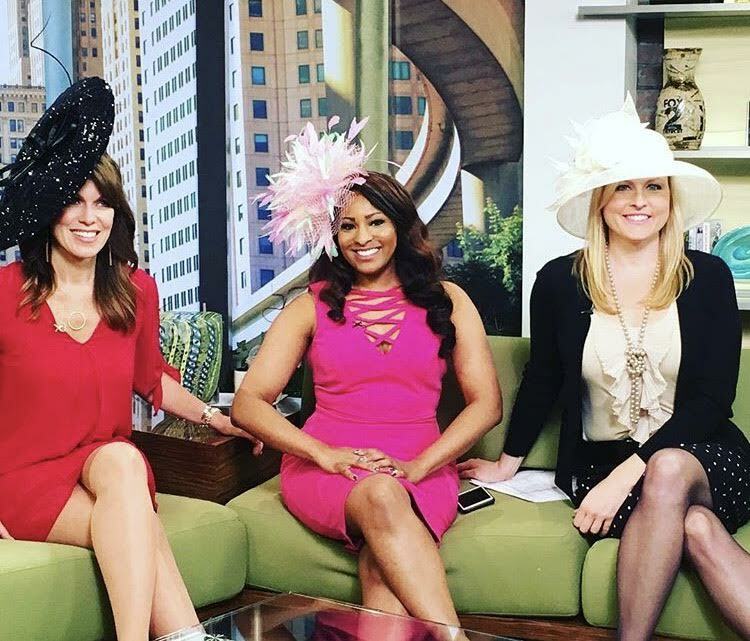 Maurielle Lue with Jessica Starr & Deena Centofanti getting Kentucky Derby ready on FOX 2 The Nine. 14. Current jam? Anything Bruno Mars! 15. Local love list… a few local boutiques or places you love to shop at in your​ neighborhood or around metro Detroit? Pink Pump, Royal Dutchess, Top Shop – Somerset, Tantrumink.com (online but based in Metro Detroit), they have the BEST leggings I have ever worn, AND YES – I went back online and bought more in every color! 16. Favorite thing to do on the weekend in Detroit? Lions game baby!!!! 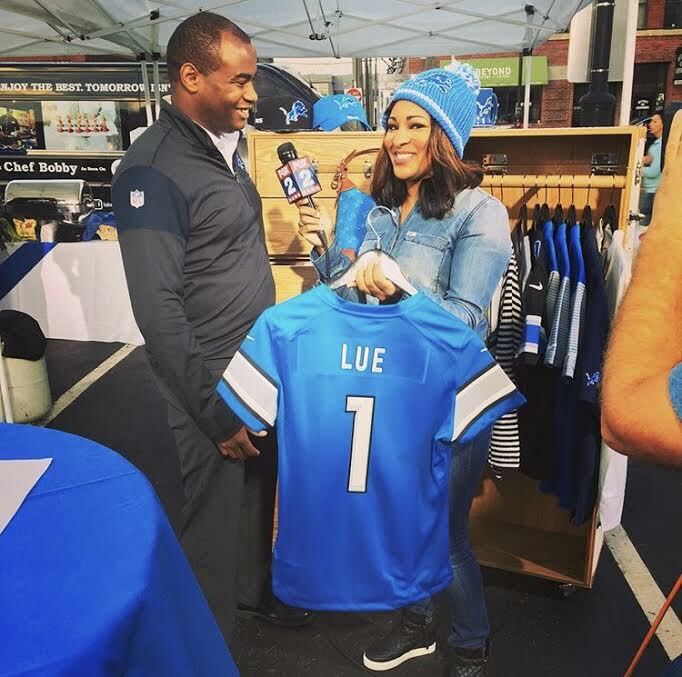 Maurielle Lue getting Detroit Lions game day ready with her custom jersey. 17. 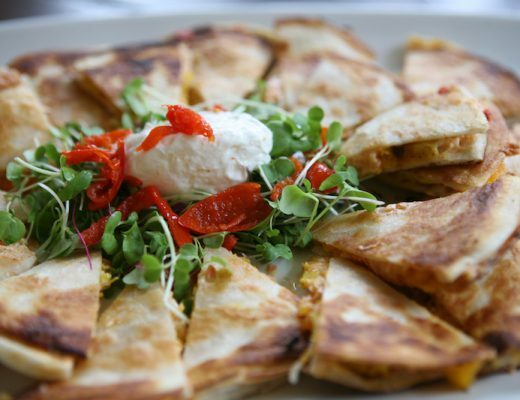 Favorite local spot to grab a bite to eat at? 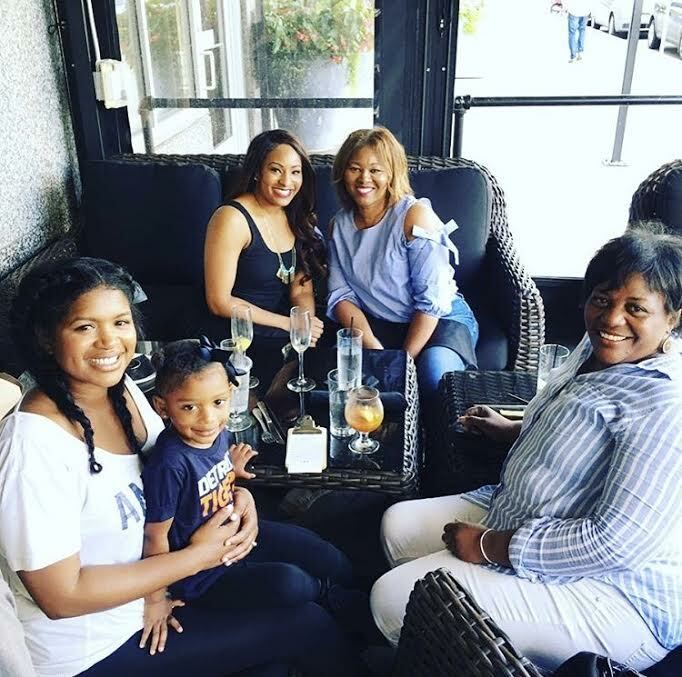 Las Cazuelas for fish tacos (Southfield), ShoGun Hibachi Grill for cheat days (West Bloomfield), and One Eyed Betty’s for brunch (Ferndale). 18. Your go-to coffee spot? Starbucks, but I’m not a coffee drinker! I like the Carmel Apple Spice, it’s a fancy apple cider. 19. What do you love about Detroit? The grit and the glamour. 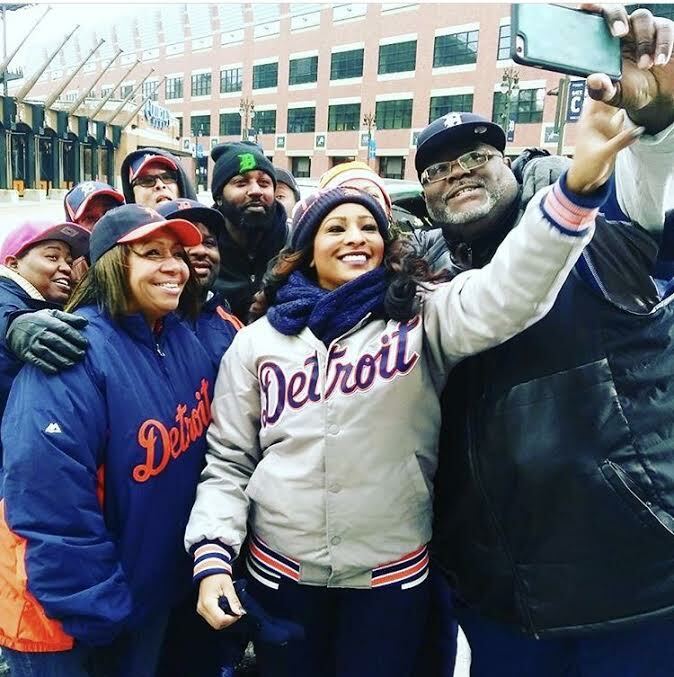 Maurielle Lue on Detroit Tigers opening day with the Lue Crew. 20. Favorite quote or words to live by? 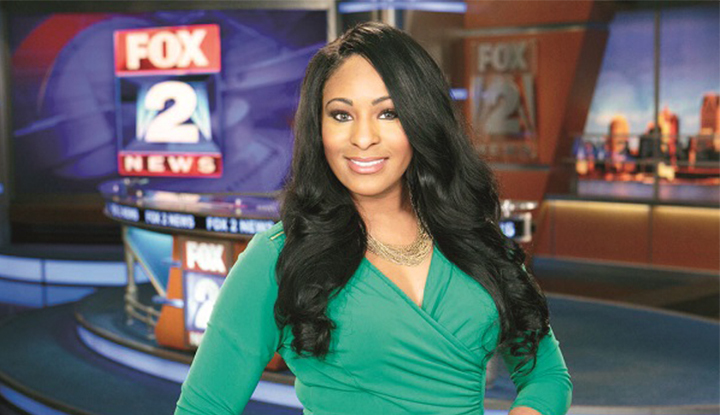 Watch Maurielle Lue every morning on Fox 2 News 4:30 – 6 a.m & on The Nine from 9-11 a.m.. 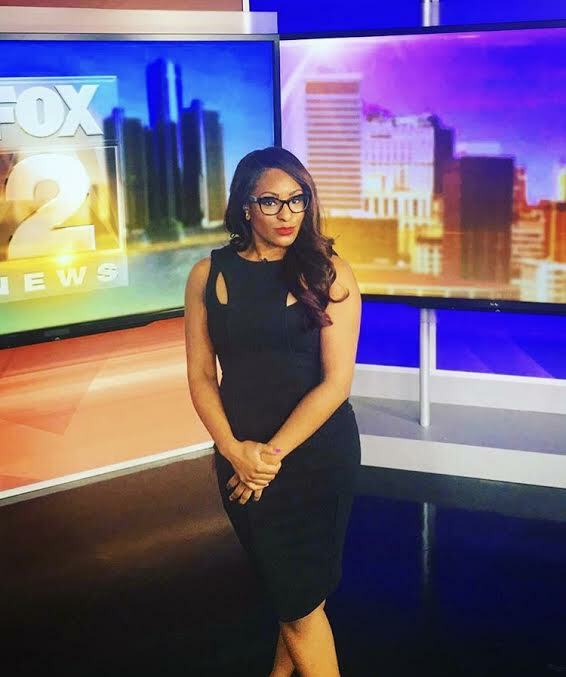 Follow her on Instagram at @mauriellefox2. Just like most of the guys in this city i think you arr awesome. Keep up the good work.